We had planned to walk down to the falls after checking in to Canyon Lodge, but the road to the viewpoints on the north side of the canyon was closed. So the next morning we backtracked 3 miles on the main road to get to the viewpoints on the south side. This was probably a good thing, since the falls looked better in the morning light than they would have when backlit in the evening. 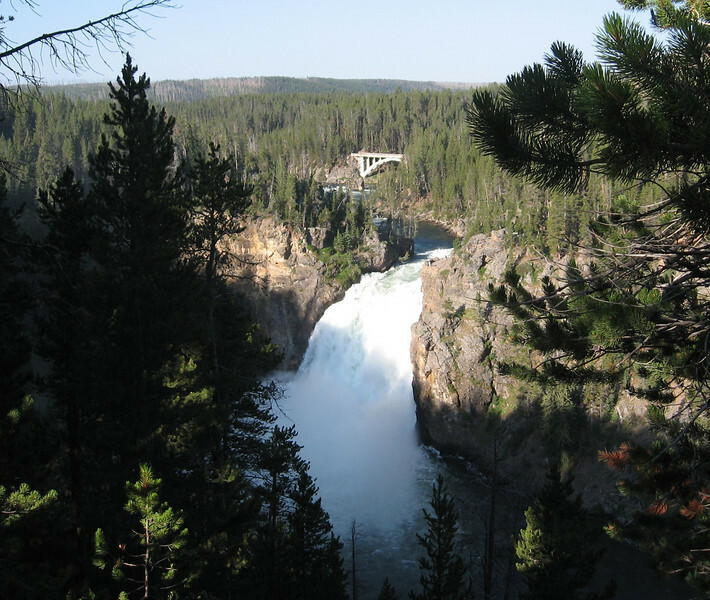 Here's the Upper Falls of the Yellowstone.